Koko Chocolates is the place to head to for artisanal chocolates with ingredients sourced from Ecuador, Belgium, Java and Madagaskar, and produced right here in Mumbai. 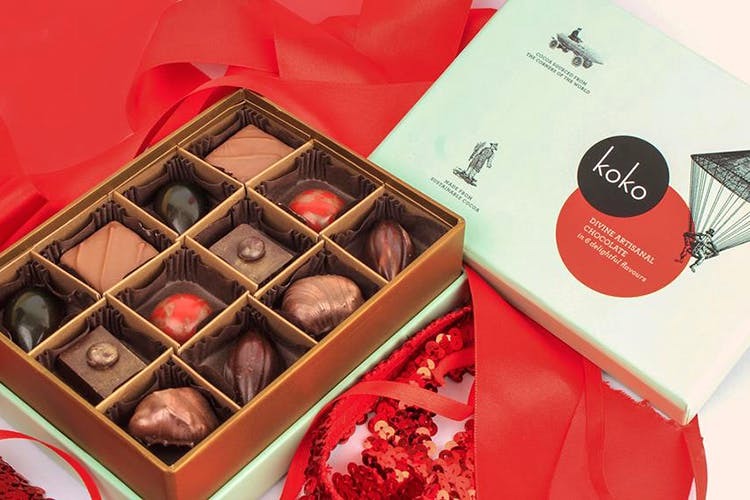 Koko Chocolates, which was started in December of last year, manufactures single origin chocolates with ingredients sources from across the world. These are then infused with local flavours, which include garlic, fresh mint, hazelnut, coffee, lemon, vanilla bean extracts, orange rind, saffron, jasmine tea and many more. And get this – you can even make your own chocolates. The chocolate experts will consult with you about the flavours you want – wasabi-flavoured chocolate, anyone? If you’re serious about your chocolate love, you don’t have to traipse around duty-free to find quality. It’s right here in Mumbai. You can order online through their Facebook, website or even go to the Andheri factory after taking an appointment.